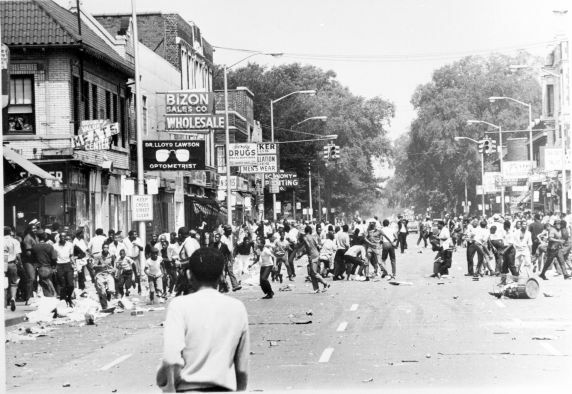 12th Street descends into chaos on the first day of the civil unrest of 1967. At rear, center, the Blind Pig, whose raid by police officers sparked the conflict, can be seen behind the Economy Printing sign. In the distance a photographer snaps pictures of the scene.